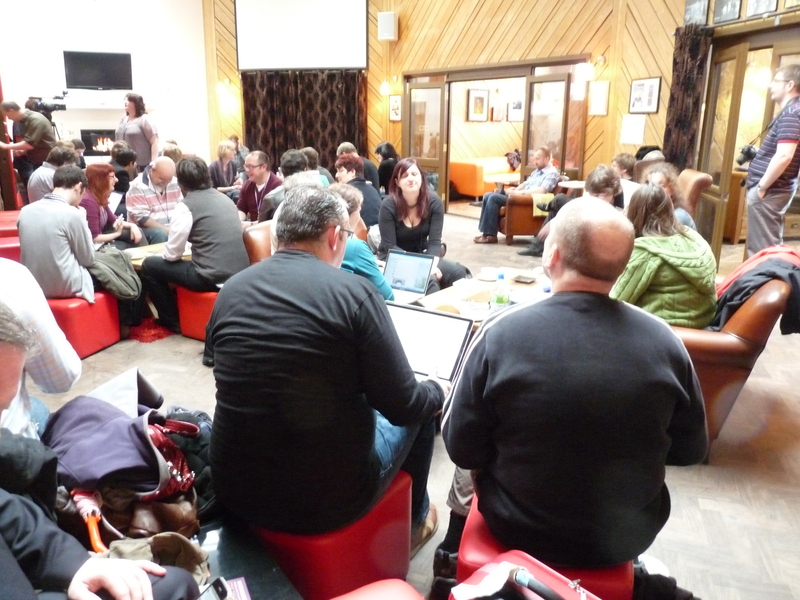 I went to my first Mashed Library event, Mash Oop North, in Huddersfield in July 2009, had a fantastic time, and was pleased to go back to Liver and Mash in Liverpool in May this year. The Mashed Library events unfold in a relatively informal unconference format, with lots of discussion of ideas and ways of quickly and easily implementing mash-ups in library and information services. This post won’t be so much a reflection on the event as a collection of tools and ideas which I found inspiring, and hope to come back to over time. Hopefully there’ll be something to inspire others too. The Worldcat Basic API is available free for up to 1,000 queries a day (assuming non-commercial use) and can return a list of books held in OCLC’s comprehensive Worldcat Catalogue from a query. The list is returned in RSS or Atom format, and can be formatted by a number of standard citation guidelines. I’d be wary of using it long-term on an academic library site with the query limit, but there are further options available to those subscribing to OCLC services. The OCLC Web Service Application Gallery contains a list of applications developed by attendees of Mashathon events and the OCLC Developer Network. This is a good place to see what can be done with OCLC’s data on books, serials etc. and to generate some ideas. A simple, worked through example of how to set up a Worldcat citation-formatting application using Yahoo! Pipes demonstrates that such applications can be produced relatively simply, even by non-programmers. Tony Hirst from the Open University spoke about gathering data on use of library websites (e.g. via Google Analytics), and segmenting users into groups by types of behaviour. Gathering behavioural data definitely sounds like something I’ll need to think about in our forthcoming redesign of the library website as part of the team moving the site to the University’s new content management system, Plone. Julian Cheal from the University of Bath, demonstrated some ways of using RFID. I’ve long had a bee in my bonnet about the limited uses (issue and return) we have for RFID in libraries considering we’re one of the biggest users of the technology, and it was interesting to see demonstrations of library cards generating prompts and information as users entered the library or carried out library-related activities. Lastly, John McKerrell talked about using maps in mash-ups. Maps are something I’ve seen used quite a lot on library websites, but only occasionally do these services go far beyond embedding Google Maps. Services which particularly stood out were Mapstraction – which allows web developers to switch quickly and easily between different map services, Get Lat Lon – which is a quick and easy way of finding latitude and longitude values for a given location, and OpenStreetMap – a free, collaboratively-edited map. While I’ve not jumped in and used any of these services straight away, both the Mashed Library events I’ve been to have really opened my eyes to the wide variety of options available to me for using and integrating data on the web. You may see a few of these services turning up on the library website as we get further down the line with the Plone rollout! To finish the post, here’s a video of Liver and Mash, which I think catches the atmosphere and creativity of the event pretty well.